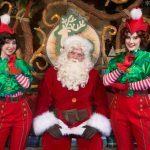 With new parking, new dining, and new shopping, Disney Springs offers a lot more for visitors this Holiday season. 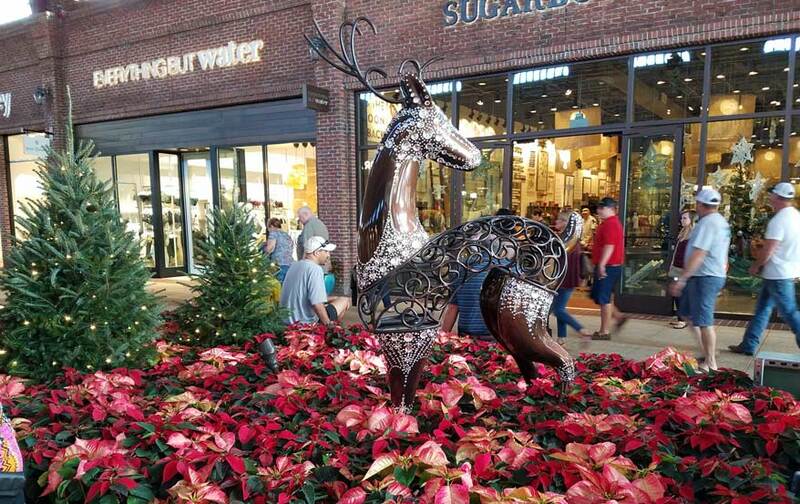 From the Westside, The Landing, Marketplace, and the newest addition – Town Center, there are festive decorations, special events, and new entertainment for the whole family. Stitch’s Holiday Gift A fun scavenger hunt will allow guests to explore all four neighborhoods of Disney Springs. Guests pick up their Holiday Hunt booklet at any participating location, then explore Disney Springs in search of a unique Stitch icon at each participating location. Once complete, guests redeem the booklet at a redemption location to receive a free “completer” button. The Festival of Toys. The Once Upon a Toy Fountain area (Marketplace) comes alive with a holiday dance party, deluxe hot chocolate, pin trading and a nightly tree lighting ceremony inviting a select family to turn on the holiday lights. Disney Springs’ Christmas Tree Trail. (Marketplace). This immersive and enchanting walk-through experience features 15 custom decorated holiday trees, each dedicated to a popular Disney theme. Custom music and a light snowfall completes the Christmassy scene. Disney has only teased the show so far, but later this week a new show, the first of its kind for Disney, is expected to debut at Disney springs. It will feature drones flying semi-autonomously creating lighted patterns in the sky that are synchronized to music. 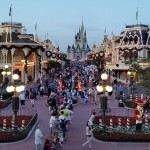 Great dining options abound at every corner of Disney Springs, whether it’s grab-and-go (food trucks at West Side, Bongo’s food window, Street Food at Morimoto Asia), casual sit-down (Earl of Sandwich, Paradiso 37, Wolfgang Puck Cafe) or a memorable dining experience at venues such as STK and Morimoto Asia. 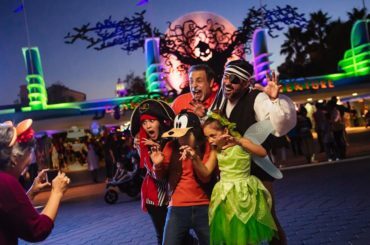 At select locations such as The Boathouse, Raglan Road, T-Rex Café, Rainforest Cafe and Splitsville, entertainment becomes an extra added attraction to holiday feasting. 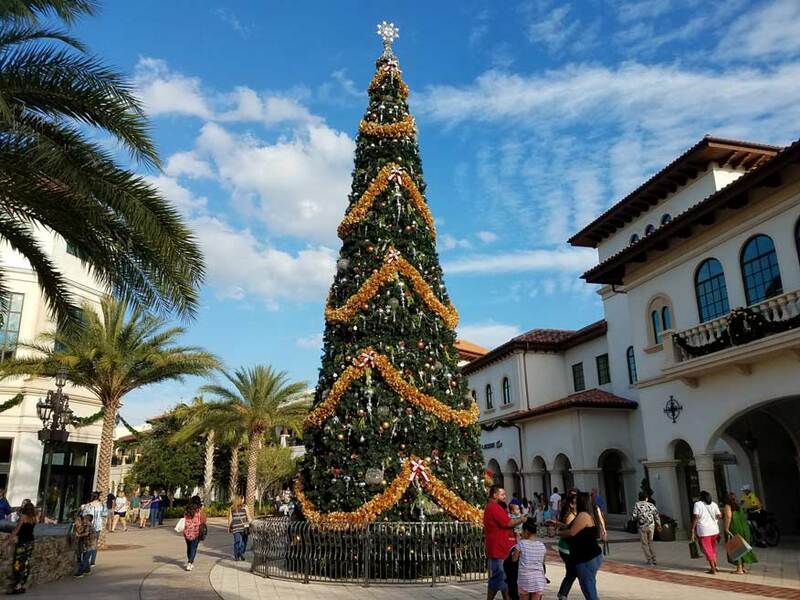 Frontera Cocina, Blaze Fast-Fire’d Pizza, D-Luxe Burger, Homecoming – Florida Kitchen and Southern Shine are new Town Center dining discoveries holiday shoppers will find. Keep an eye out for special stands with a holiday cocktails and craft beer in Marketplace and on the Westside. We’ve noticed that the Lime garage has been reaching capacity and closing earlier in the day than the Orange garage, which makes sense since the Orange garage holds more cars. The Orange Garage has an entrance directly from the I-4 West, which makes it pretty easy to get into. What are your Disney Springs parking tips?